The Police Sports Council (PSC) continues to render full support to the Active School Programme, run by the Hong Kong Elite Athletes Association (HKEAA), following the commencement of the new academic year. The PSC has been one of the supporting organisations of the programme since 2015. 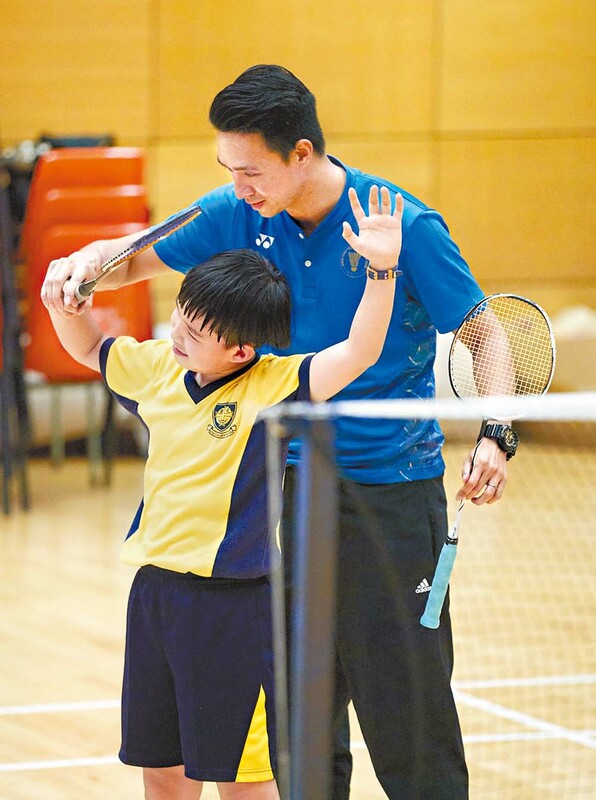 Police sports clubs have tailor-made training programmes for primary and secondary school students to help them develop an interest in sports, strengthen partnership with schools and project a positive image of the Force. The launching ceremony and briefing session of Phase 2018-19 of the programme was held on August 31 with PSC Chairman Mr Cheuk Hau-yip as one of the guests. The executive committee of the HKEAA expressed its sincere gratitude to the PSC for its continued support. The annual fun day of the programme took place on September 29 at King's Park Sports Ground. The Police Athletics Club, Police Judo Club, Police Tug-of-war Club, Police Volleyball Club and Police Rugby Club set up booths to promote sports to students. The students enjoyed the sports activities and the executive committee of the HKEAA thanked the participating organisations for their efforts. The PSC will continue to provide a wide range of activities this academic year to promote community participation and strengthen communication with different sectors.